If you are looking for an affordable alternative to ObamaCare, you may have options! 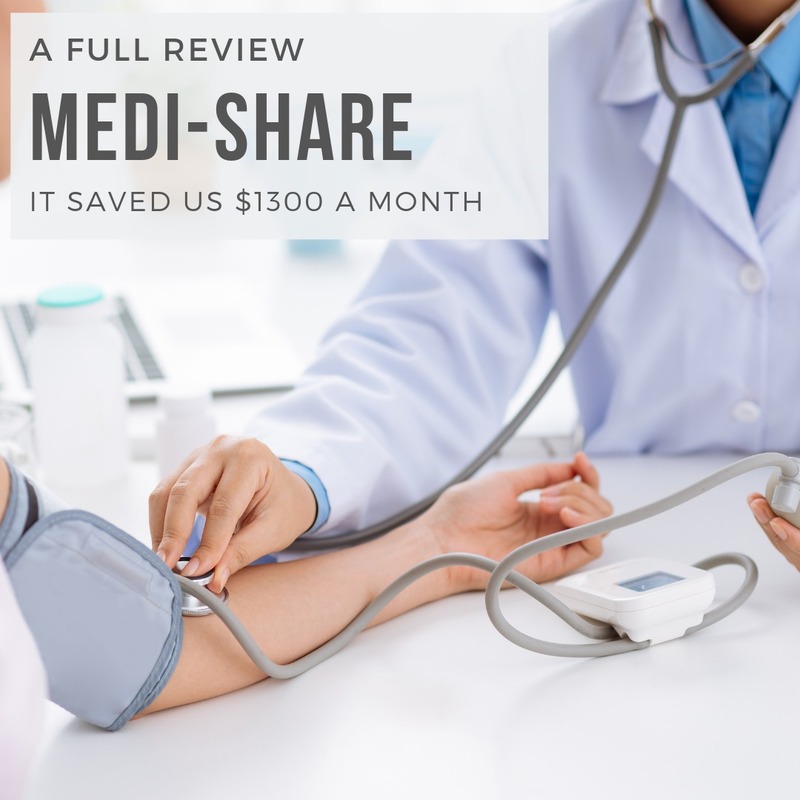 One of the best alternatives is Medi-share which is a Christian healthcare sharing program. Note that Medi-share is not insurance but does satisfy the mandate for health insurance under Obamacare regulations. You must be a professing Christian who is an active member of a local Church body to participate. Some other regulations are that you cannot have used tobacco in the past year and it does not cover preexisting conditions from within the last 3 years. The rates are extremely easy to determine on their website. You enter the age of the oldest participant and how many family members will participate. You can apply as an individual, two people, or three or more. There is a standard rate but there is also an option for a healthy share if you meet certain guidelines. The first month you will be required to pay the full share, but after your first month you are eligible to apply for a healthy share. You will need to know your weight, height, blood pressure, and answer other questions about your lifestyle. You can get up to a 20% discount with the healthy share rate. You are responsible for all medical bills until you meet your Annual Household Portion (AHP). Once your portion is met, 100% of eligible medical expenses will be shared. Annual check-ups (including OBGYN visits) for adults are not eligible for sharing, but you can still get discounts on these visits through the MediShare network. When you go to the doctor you have a Medishare card that you will submit like you would an insurance card. If you select to see a doctor that is part of their Private Healthcare Systems (PHCS) PPO network you will pay $35 for doctor visits and $135 for an emergency room visit. Otherwise, you will get a discount off your bill but will be responsible for the remainder (unless you have met your Annual Household Portion). After you bill has been processed, you can login to your MediShare account to see an explanation of sharing. It will show the total bill amount, how much the bill was discounted, and how much (if any) is eligible for sharing. You will then get a bill from the provider. A great resource available to MediShare participants is the option is to see a doctor online or over the phone for free through MDLIVE telehealth. This is is great for basic illnesses such as colds, flu, bronchitis, ear infections, acne, etc. Many times there is no wait and they will call in prescriptions when appropriate. Can I just say that this is actually amazing for your own time too. I don’t have to drive thirty minutes, wait thirty minutes and then drive home. We’ve used this at least 4 times this year for issues my husband and I had! There is no cost at all, so our first step is to always do this before considering an appointment with a local doctor. Only one time did the doctor say that we really need to be seen by a local physician. Routine well-child care is eligible for sharing through the end of the fifth year after you have met your Annual Household Portion. Well-child care is defined as recommended, routine check-ups and associated lab work (excluding vaccines). The downside is that you can only share up to $775/year for the first two years after the AHP has been met. Vaccines do not factor into your Annual Household Portion and are not eligible for sharing. If you get vaccines from your pediatrician they can easily be close to a $1,000. The best solution I have found is to get vaccines from your local health department. They are completely free and they send the shot record to your pediatrician. As long as the mother is married and was covered by Medishare at the time of conception, all maternity expenses can be submitted to your Annual Household Portion. MediShare will also provide grants to help fund adoptions. It will not cover 100%, but every little bit helps! 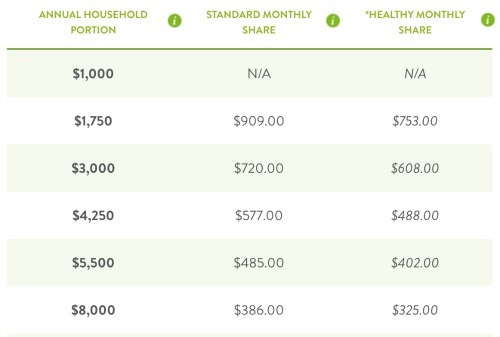 Note: For maternity coverage your need to select an Annual Household Portion that is $3,000 or more. Maternity is not eligible on lower portion plans. There are discounts available for vision, dental, and prescriptions. You should be able to save 20%-60% on dental procedures and 20% on braces. If you want more information on Medishare, or want to sign up, ask friends to see if they are already using Medishare. They will get a $100 discount if you sign up through them. If you don’t have anyone already using it then you can click here and I’ll get the discount on my plan.